Edwin Yamauchi has noted the problem of fractions in dealing with archaeological evidence. The importance of understanding ‘fractions” relates to the tendency of some to make dogmatic assertions about the Bible’s lack of historical veracity based on only a fraction of the evidence or lack of evidence. This methodology is, to say the least, problematic. I have summarized Yamauchi’s main points and quoted his explanations. Yamauchi goes on to note, “Now if one could by an optimistic estimate reckon that one-tenth of our materials and inscriptions has survived, that six-tenths of the available sites have been surveyed, that one-fiftieth of these sites have been excavated, that one-tenth of the excavated sites have been examined, and that one half of the materials and inscriptions excavated have been published, one would have (1/10 x 6/10 x 1/50 x 1/10 x 1/2) at hand but six, one hundred-thousandths of all the possible evidence” (p. 156). Now certainly much has been done in the nearly forty years since Yamauchi published this statement, but I think it would be fair to say that we are still dealing with a small fraction of the evidence. Edwin Yamauchi, The Stones and the Scriptures (Grand Rapids: Baker, 1972), 146–57. 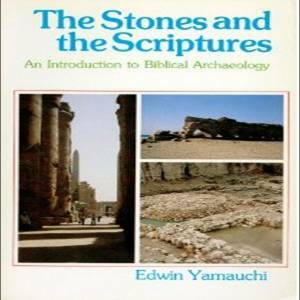 Interestingly, Hill and Walton attribute a sixth point to Yamauchi: “Only a fraction of what has been examined and published makes a contribution to biblical studies” (Andrew E. Hill and John H. Walton, A Survey of the Old Testament, 3rd ed. [Grand Rapids: Zondervan, 2009], 359). However, I could not find this sixth point in The Stones and the Scriptures. Good point. I'm not sure where the sixth point comes from, but a similar summary is made by Wiseman in volume 1 of the Expositor's Bible Commentary (1979). Thanks for the reference to Wiseman and the link to the PowerPoint slide.